My trip began with a solo adventure! 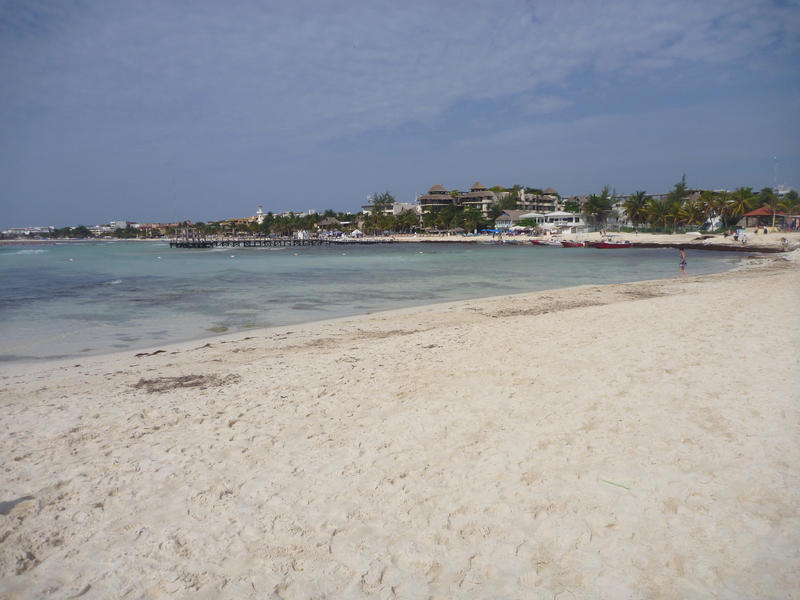 After touching down in Cancun at about 1:30pm on Thursday I grabbed an ADO bus for $14 US and took an hour long ride to Playa Del Carmen. Luckily for me, the location of the buses in the airport was super easy to find after watching this video that someone had posted on YouTube https://www.youtube.com/watch?v=u3h5t3a1ois. Afterwards, I decided to take a stroll around the streets near the hostel before it started to get dark out, and ended up strolling down 10th Av. Notre. 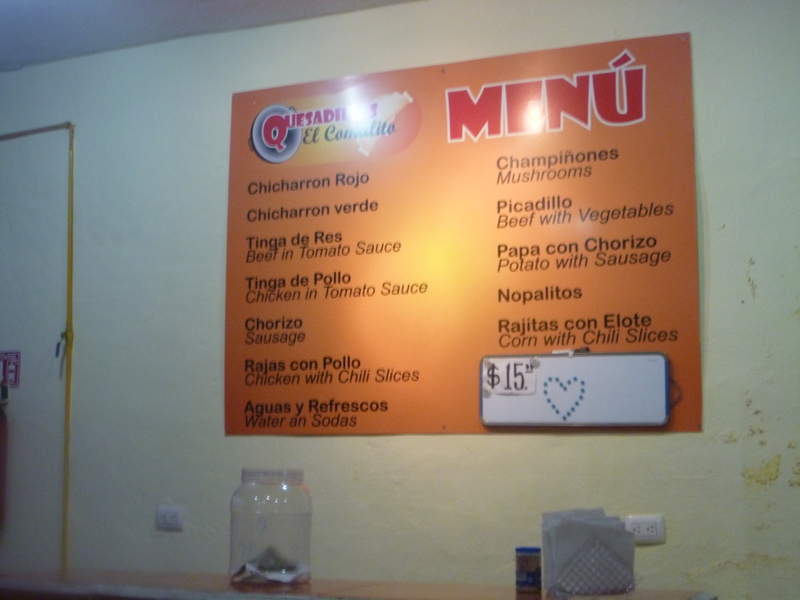 This is the best place to grab some nearby authentic Mexican food compared to the pricey Quinta Avenida (5th avenue). 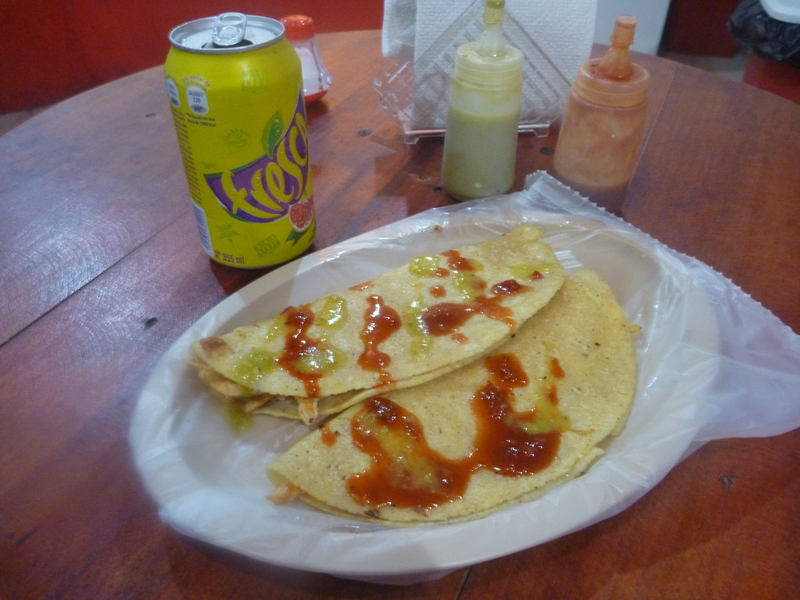 I ended up at a place called “Quesadillas El Comalito”. 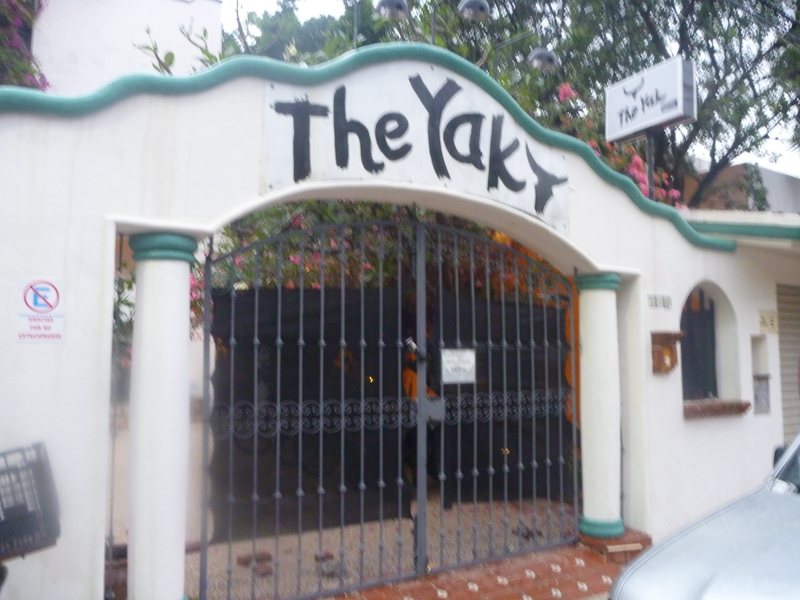 Although the menu sign is bilingual the server was not so I had an interesting time using hand gestures to tell her what I wanted, and for some reason I attempted to speak French thinking that maybe it would somehow make sense to her? Note to self: Learn some basic Spanish before going to Mexico again. Somehow I successfully ordered correctly! Mmmm chicken quesadillas. After a very long day, I decided to call it a night and head back to my hostel. Heading to bed early in a party hostel isn’t the easiest thing to do yet I came armed with ear plugs and a sleep mask so luckily I eventually was able to get some sleep. I awoke Saturday morning rested, refreshed and ready to do some exploring! 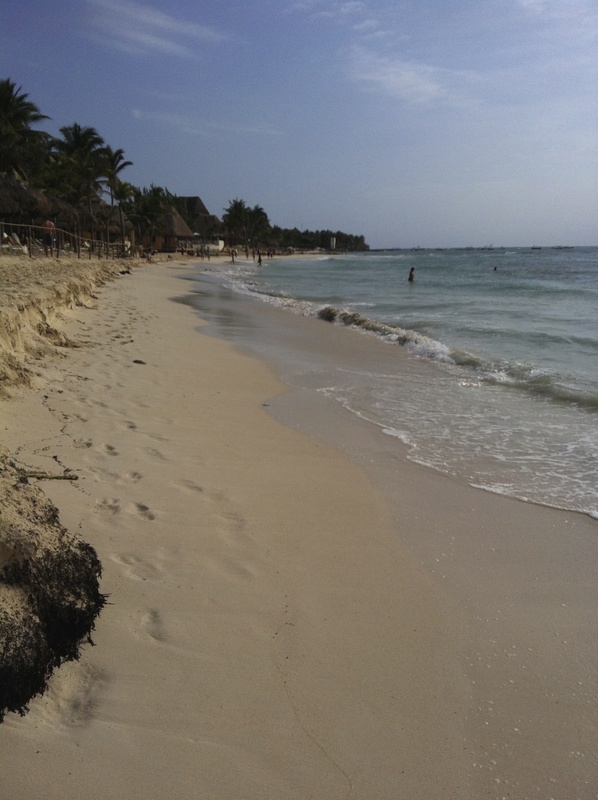 The first thing I did was grab some free breakfast at the hostel (fresh buns with jams, cereal and fresh fruit) and then I headed down to the beach. Lined with different hotels and resorts the beach here is actually pretty long and split into two parts. The first half was where all the boats seemed to anchor, whereas the second half was alot nicer (less seaweed lined) and was perfect for swimming. They also had some pretty intense dudes monitoring the beach wearing camo outfit’s that said “marine,” oh and they also carried rifles, no big deal. After spending a couple hours baking in the sun, it started to get pretty windy. 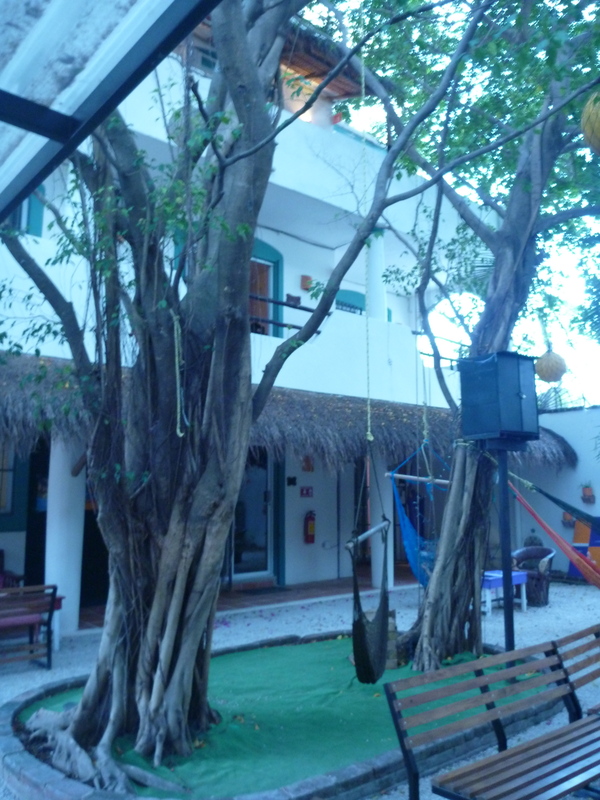 Apart from the beach in Playa Del Carmen the other main attraction is Quinta Avenida, also known as 5th Avenue. 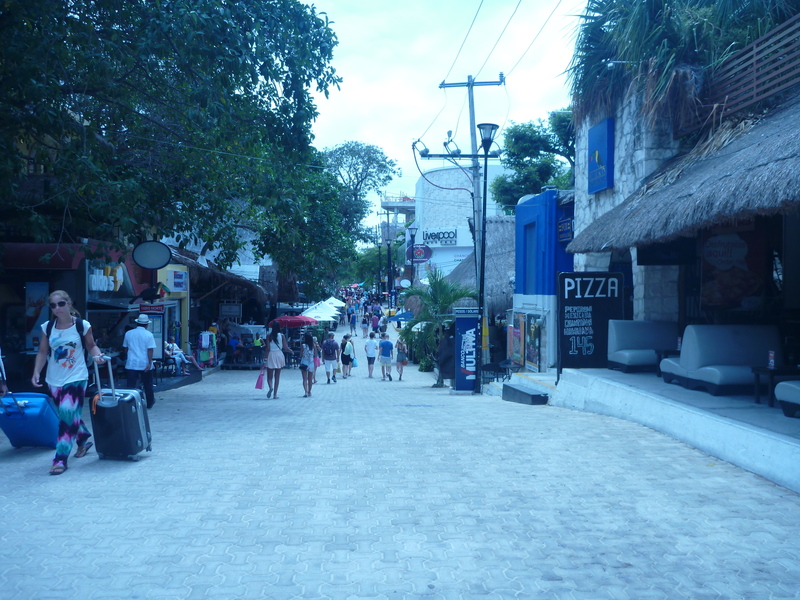 This pedestrian street is lined with restaurants, bars, stores and many different tourist shops. 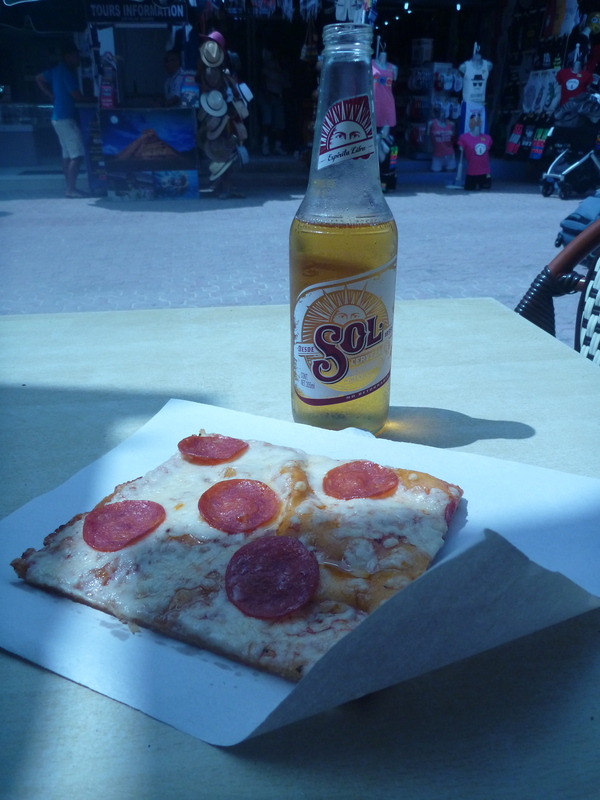 I stopped at a little pizza joint here and had a slice and beer for $3 US! After walking down the street for what seemed over an hour (this street is longgggggggg!) I was pretty tired and headed back to the hostel to await Candace’s arrival. Hanging out in the courtyard of the hostel made it really easy to meet other travellers. I met others from Australia, Poland and England! 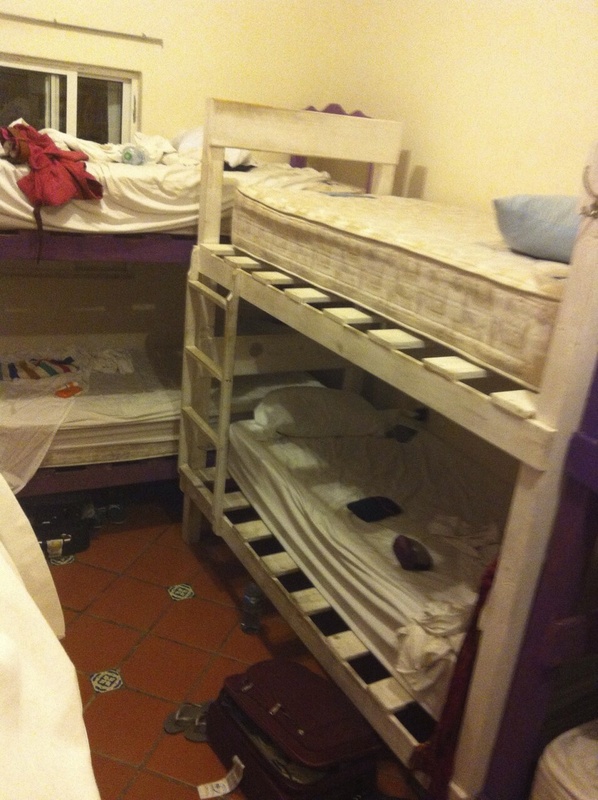 The cool thing about this hostel was that every person I met was a solo traveller too. I even met one brave gal from Poland who had been travelling on her own in Mexico for two weeks!